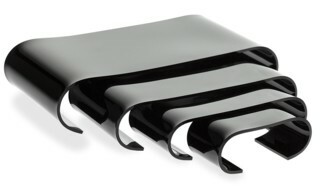 Great for in-store product displays, tradeshows, museums, specials, etc. 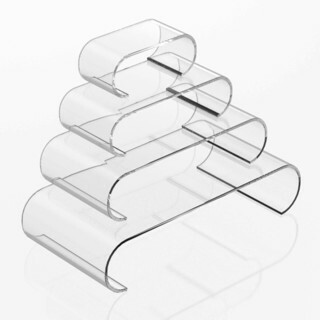 Our Clear and Black Acrylic Scroll Risers are High Quality, Durable Units to Make Your Products STAND OUT! 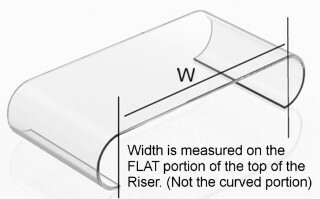 The Clear Acrylic Scroll Riser Offers a Fancier Appearance Than The Traditional Flat Riser - Allowing For More Visual Appeal.